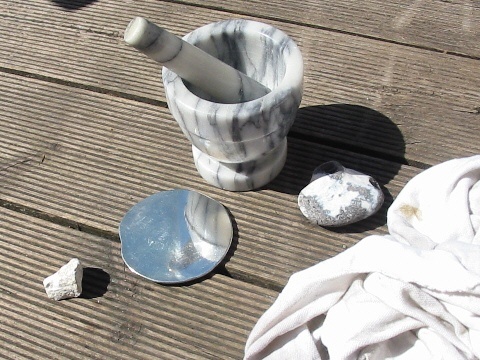 This post describes a tin polishing experiment using only those materials known to exist in late neolithic Britain (just after the discovery of tin). After casting of a tin mirror, a small slab of tin if left. 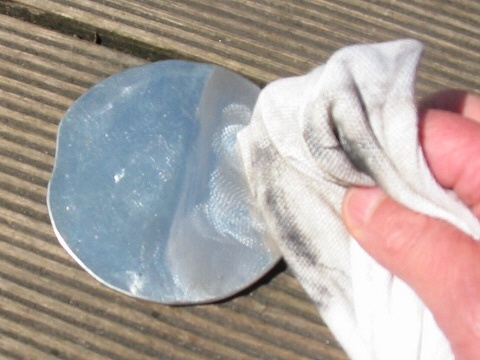 At this stage, the surface does not resemble a mirror. 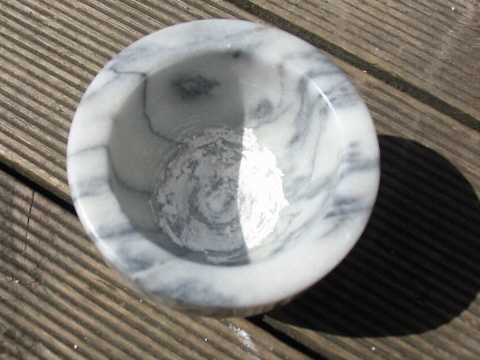 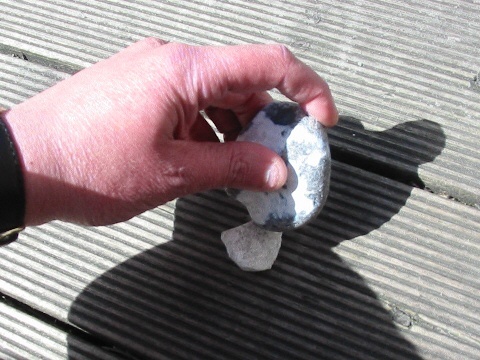 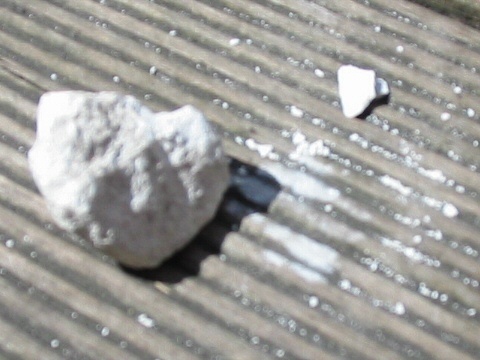 Crush the chalk using stones or a pestle an mortar, then add fat or oil and mix to form a white clay. Polish the tin plate using a rag or dried leaves: The clay will turn black as the polishing progresses. This process takes a long time! 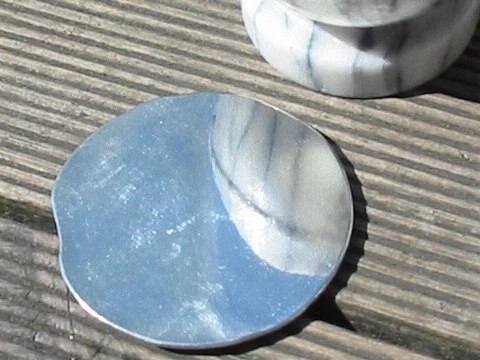 With these materials, it is relatively simple to produce a good quality tin mirror.